A 25-year-old D.C. man has been arrested for sexually assaulting a woman in Rosslyn last May. The suspect is Richard Allen Lowe, who police say knocked on doors at an apartment building on the 1500 block of Key Boulevard pretending to be a maintenance worker. When a female victim opened her door, the suspect attacked her, sexually assaulting her before fleeing, according to police. 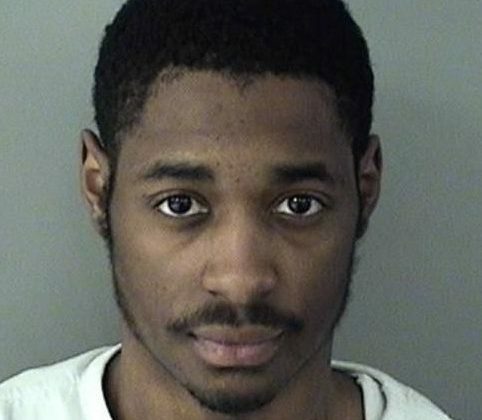 Lowe, charged with abduction with intent to defile and malicious wounding, is being held at the Arlington County Detention Facility on no bond. This remains an active criminal investigation. Anyone with information regarding this incident or concerning Richard Allen Lowe is asked to contact Detective P. Pena at [email protected] To report information anonymously, contact the Arlington County Crime Solvers at 866.411.TIPS (8477). After the attack last May, the Arlington County Police Department released a video of the suspect entering another residential building on the 1900 block of Wilson Boulevard. In that instance, the building’s concierge saw the man sneak in and denied him further access.